Yeti Coolers have paved the path for quality-insulated products and now they’ve taken this drive towards outdoor gear. On the banks of the Snake River through Hells Canyon in Idaho, the Panga submersible gear bags were exposed to the elements and launched to a selected crew of media misfits on a 31-mile river trip through 42,000 CFS of adrenaline surging and gear testing conditions. To really put the Panga to the test, I took the Panga on a number of trips beyond the 31 miles down the Snake River in Hells Canyon. It also went on one spearfishing trip in the gulf outside Tampa, FL, a scalloping venture by Crystal River, FL, two clear-water springs adventures via SUP in the Florida inland, including an underwater submersion in a cold water spring for 20 minutes, and 11 flights including one small charter. 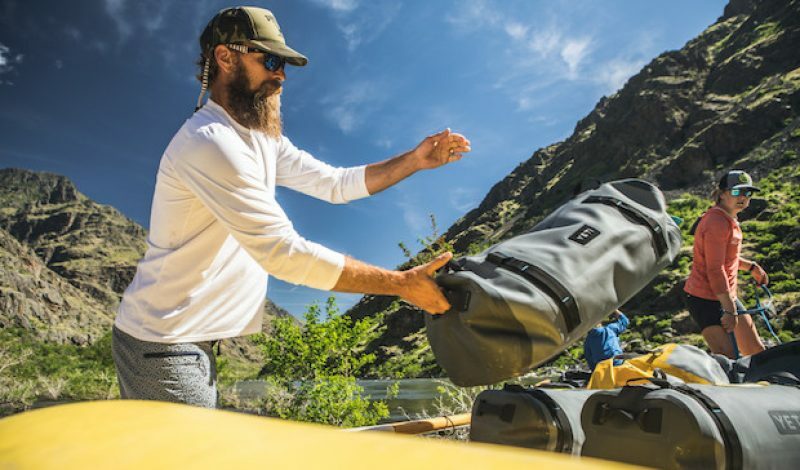 Our week with Yeti and Oars Rafting through Hells Canyon put the bags through a rig-to-flip challenge. The 40,000+ cfs supplied by the Snake River sent hydraulics engulfing and rocking the rafts and dory that held our bags. At Wild Sheep Rapid a lateral wave and hole combination got the better of one raft, sending the media crew into the drink and the raft floating upside down with Pangas attached. The bags passed the test of waterproof submersion for 60-75 yards until the crew scrambled aboard and flipped the raft back. 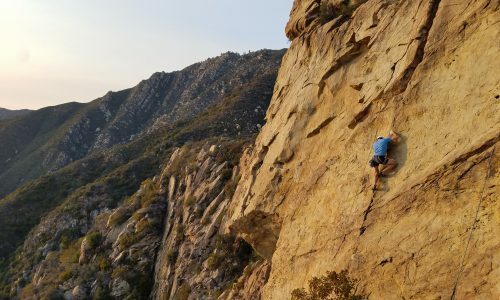 Alex went on to tell me, “The Panga Submersible Duffel is our first non-insulated piece of gear that lives up to the standard of being built for the wild. 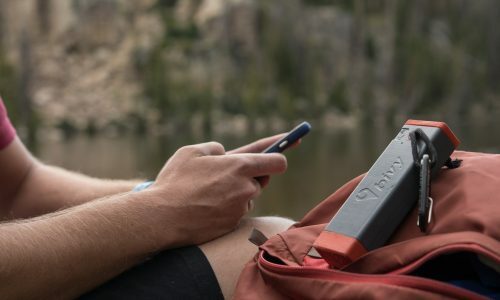 Designed for extended backcountry trips, fly fishing adventures in far off places, exciting whitewater trips down the biggest rivers, or any adventure where you need to keep gear dry and protected”. This proved true on the variety of trips I took the bag on after our return from Idaho. I exposed the bag to extensive travel and salt-water conditions. The Panga’s outer ThickSkin™ with RF welding, standard on all Hoppers, is a thickly laminated material with 1680D nylon core. The bottom is padded and protected with a custom EVA foam lined with ThickSkin™, providing an extra layer of durability. Cam straps cranking down from raft frames, heavy travel abuse and being pushed, pulled and dragged from house to truck to airport to truck to boat and back again… Long story, short: The Panga is incredibly durable and has shown no sign of weakness or wear from everything this gear abuser has thrown towards it. Any way you go to pick this bag up or grab for leverage, there are thick and burly straps ready to be pushed and pulled. The engineers have created a highly functional product with these finishing touches. It’s second nature to grab this bag to zip/unzip, toss, grab off the ground or carry-on luggage containers on airplanes or to hold the (removable) DryHaul Straps like a duffel or toss over your shoulders in a backpack style. It’s a product designed with a complete level of functionality for grab and go. The 50 is a perfectly sized carry-on bag, it’s been my travel bag since receiving it in the mail. It goes everywhere. For those of you, like myself, that like to fill every square inch of the bag and test capacity—there is an internal “ZipAssist” hook connector that connects both sides of the bag under the zipper. No more scrunching the bag in between your legs and cranking on the zipper. Also on the inside are two StowAway mesh pockets to organize smaller goods on both sides. What really separates the Panga from the dry duffel competition is the air and watertight zipper. This custom made zipper is complete with proprietary materials that include nylon and TPU, similar to zippers used on survival and HAZMAT suits. This convenience of moving away from a roll-top dry duffel and adding a higher level of waterproof is a major win for this product. I took it into my own hands to give a submersion test. At Blue Springs in Florida, I swam 10’ down with a cam strap and cinched the strap around a sunken tree. The tail of the strap allowed me to create a bight on a loop, where I clipped a carabineer. With the help of a friend, I pushed the Panga down to the point where I could clip the carabineer to the bag where the zipper was fully under water. The bag stayed in this position for approximately 20 minutes, zipper underwater at all times. I tossed the bag on top of my paddleboard and opened it up to find it bone dry on the inside. 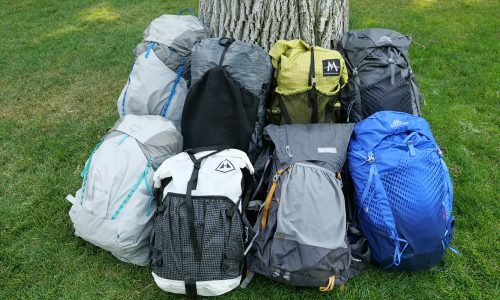 When it comes to waterproof gear bags, I’ve always been cautious to the product’s ability to store gear that absolutely cannot get wet. The Panga is winning me over, trip after trip. The functionality is second nature to grab-and-go and is excelling at handling the abuse while maintaining absolute waterproofing.